The FJ25 was produced from 1955 to 1960 and is the flagship of the Land Cruiser 20 series. Described as a "rugged and roomy roamer" by Motor Life magazine, the FJ25's smaller wheelbase gave it greater maneuverability on the street and on the trail. It was available in hard or soft top and came equipped with a 4-speed box, and F-type engine. 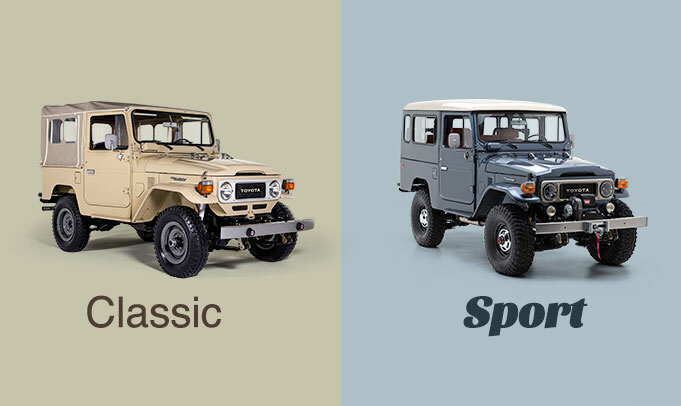 A true original, the FJ25 was one of the first Land Cruisers to carry the FJ nameplate.